In my last post I discussed the importance of vocabulary, not as an exercise to be done in isolation but instead as a habitual tool for learning and reinforcing unknown or unfamiliar words you come across. As I noted, this skill translates not only into improvements on Sentence Completion and Equivalence problems but also on Reading Comprehension, Short Passages, and your writing skill on the essays. One tried-and-true vocabulary-building tool is an old fashioned journal, either in the form of a spiral notebook or (if you want to be fancy) as a note-taking app on your smartphone or tablet. Personally, I am a big fan of legal pads, but probably more because of nostalgia than utility. For this post, I thought I would recap a couple vocab entries I wrote for our PowerScore GRE Facebook Page as examples of the kind of entries you can write for yourself, if you are feeling enterprising about your journaling. I would like to emphasize the importance of both learning the exact dictionary definition of each word as well as producing a sentence in which you use the word in an appropriate context. 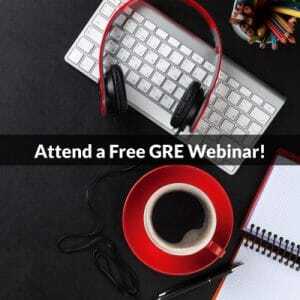 Since your work with difficult vocabulary on the GRE is heavily context dependent, your practice with these words should also reflect the kinds of scenarios you will encounter on the test. As I noted in my previous post, the first and best strategy you can use to improve your vocabulary is to read a lot. This is also the one aspect of preparation that takes the most time. Along with becoming well-versed in math fundamentals, building your vocabulary and reading comprehension skills is an excellent way to prepare to prepare to succeed on the GRE. 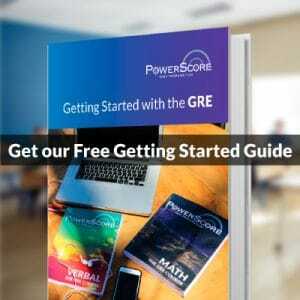 Join us on our Facebook Page; follow us on Twitter @PowerScoreGRE; comment below; or post your questions on our PowerScore GRE Discussion Forum, where either I or another member of our team will answer any test-preparation questions you may have, whether general or specific.